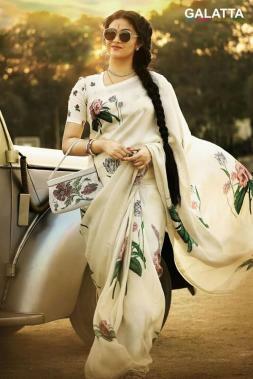 One of the year’s biggies, the biopic on legendary actress Savitri, Mahanati, starring Keerthy Suresh, will be hitting screens across Andhra Pradesh & Telangana on May 9. Directed by Nag Ashwin under the Vyjayanthi Movies banner, the film also features Dulquer Salmaan portraying iconic actor Gemini Ganesan, actress Samantha Akkineni, Vijay Deverakonda, Shalini Pandey among others in lead roles. Meanwhile, the film also been made in Tamil as Nadigaiyar Thilagam will see a subtle change in its release as the film will arrive on screens on May 11. It has now been confirmed that the censor board has cleared Nadigaiyar Thilagam with a 'U' certificate and will be competing against Vishal’s Irumbu Thirai, Arulnithi’s Iravukku Aayiram Kangal and Arvind Swamy’s Bhaskar Oru Rascal. 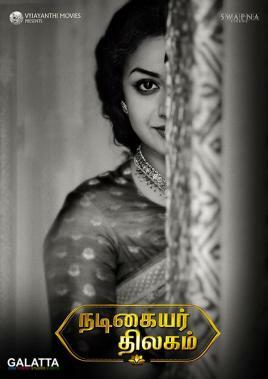 >>A Big Step Forward For Keerthy Suresh's Film!